Extensive community involvement earns Pasadena FCU a top local award. The $150 million Pasadena Federal Credit Union has been named the Small Business Corporate Citizen of the Year by the Pasadena Chamber of Commerce. Organizations actively served by volunteers and other support from the 11,400-member Southern California credit union include the Girl Scouts of Greater Los Angeles, Union Station Homeless Services, the Pasadena Humane Society and SPCA, Rosemary Children’s Services, Art Center College of Design, Foothill Employment Training Center, Neighbors Acting Together Helping All, Harambee Ministries and the Flintridge Center. 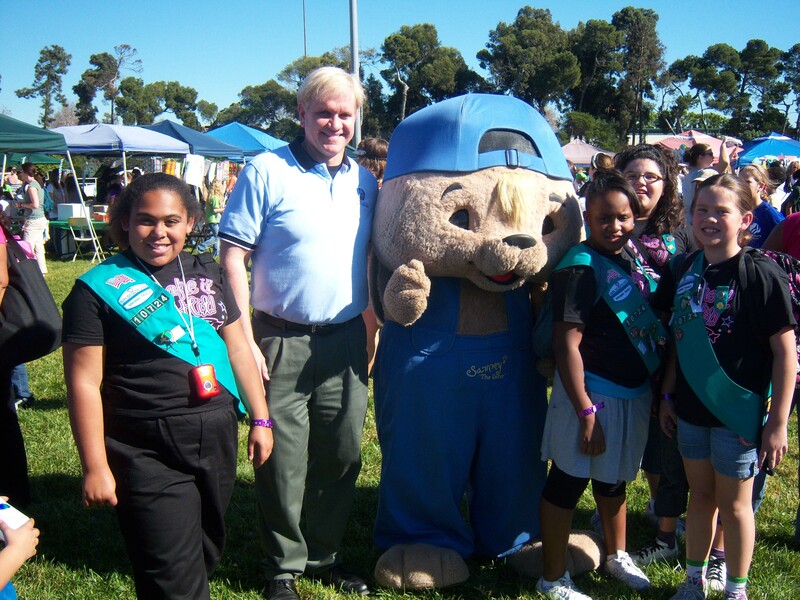 Shown here is PFCU’s director of marketing and business development, John Schaefer, with mascot Sammy Rabbit and some participants in a recent Girl Scout gathering.